The Quality Payment Program implements provisions of the Medicare Access and CHIP Reauthorization Act of 2015 (MACRA) and improves Medicare payments to focus on care quality for patients. You can choose how you want to participate based on your Practice size, Specialty, Location, or Patient population. Why is the Quality Payment Program important? The Quality Payment Program combines and replaces three separate Medicare related programs with a single system where Medicare Clinicians have the opportunity to be paid more for doing what they do best – making their patients safer and healthier. The vast majority of measures in the program are Clinician-initiated, ensuring that we are rewarding what matters most to Clinicians and their patients. Who Is eligible to participate in MIPS and subject to payment adjustments? Below the low-volume threshold: care for 100 or fewer Medicare beneficiaries or have $30,000 or less in Medicare part B allowed charges in a year. You get to pick your pace for the Quality Payment Program. You can choose to start anytime between January 1 and October 2, 2017. Whenever you choose to start, you will need to send in your performance data by March 31, 2018. How will the Quality Payment Program affect my Payments? 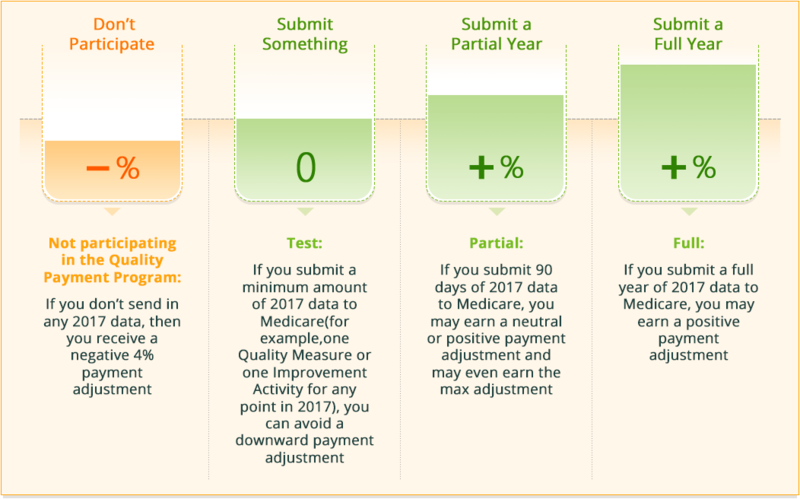 If you decide to participate in MIPS, you will earn a performance-based payment adjustment – up, down, or not at all – based on the data that you submit. The first payment adjustments based on performance in 2017 go into effect on January 1, 2019. What is Pick your pace? 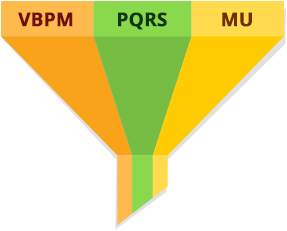 If you choose the MIPS path of the Quality Payment Program, you have three options. The MIPS payment adjustment is based on the data submitted. The best way to get the maximum MIPS payment adjustment is to participate full year. By participating the full year, you have the most measures to pick from to submit, more reliable data submissions, and the ability to get bonus points. But if you only report 90 days, you could still earn the maximum adjustment—there is nothing built into the program that automatically gives a reporter a lower score for 90-day reporting. Pick the pace that’s best suited for your Practice.